Or Sisters, anyway. But that didn’t work in the title. I went to the indoor pool at my gym today. I’ve mentioned this pool before. I have great swims here. I’m not really sure why, but it may be because I look like a rock star at this particular venue. People stop me and tell me what a “lovely swimmer” I am. In an effort to practice taking a compliment, I smile and say thank you. Not “Gee, you don’t get out much” or “Wow, you really don’t know much about swimming, do you?” For it’s true…I actually swim instead of sit in the hot tub, and I’m not the 400 pound guy in Lane 1. Anyway, I got there to day and walked right out to Lane 2. Man in Lane 3 stopped, stood up, gave me a thumbs-up and said “You look good”. “Thanks!”, I said. Are your goggles foggy? Oh, I’m just standing here. In my speedo. And I haven’t shaved my legs. Yup, “thanks” will do. “You look like an Olympic swimmer”, Lane 3 adds. “You know the swimmer I’m talking about, right?” Lane 3 continues. “Yeah. She doesn’t look bad for someone her age, does she?”, Lane 3 says. And there you have it. 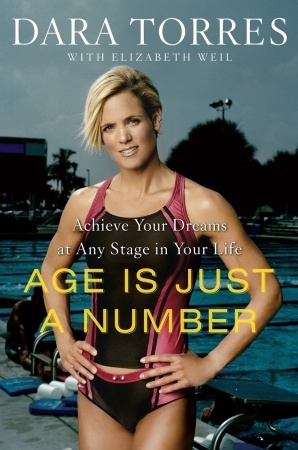 I remind (one very small piece of) the world of Dara Torres. And she doesn’t look bad. For someone her age. Should I call her and tell her? 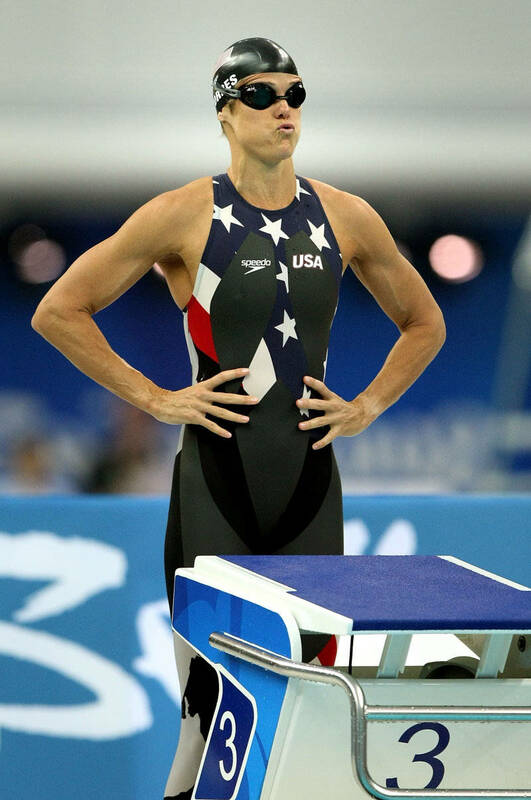 This entry was posted in Musings, Training and tagged swimming. Bookmark the permalink.